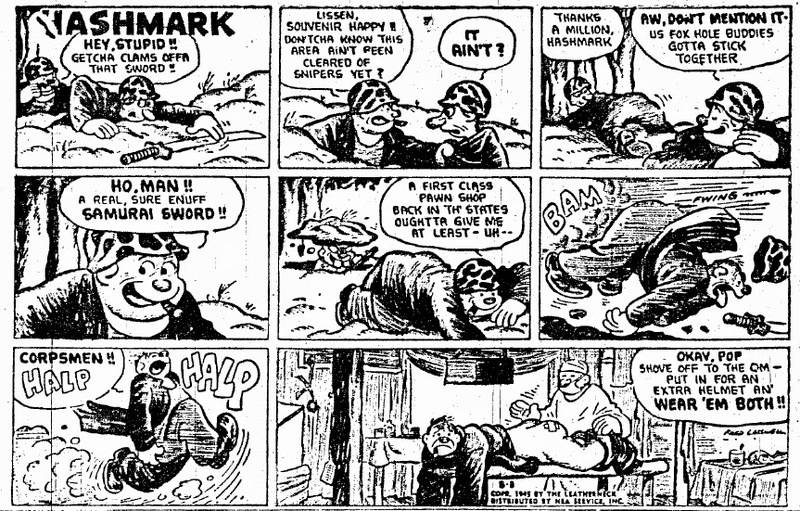 Billy DeBeck created Barney Google and ran it by himself for a couple of years, but pretty early on he took on a 17 year old assistant, Fred Lasswell. 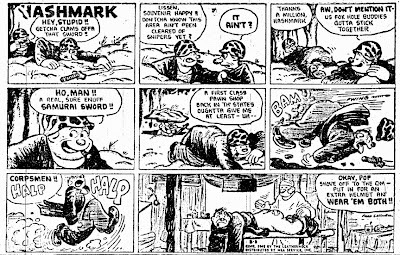 He was there when Barney Google's pal Snuffy Smith was created and when DeBeck died and Lasswell took over the strip, he phased out the original hero and continued the strip with his hillbilly hero Snuffy Smith. 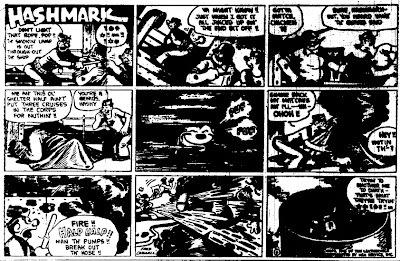 He also changed the style of the strip to his own, which was (at least in my eyes) remarkable different to that of DeBeck. 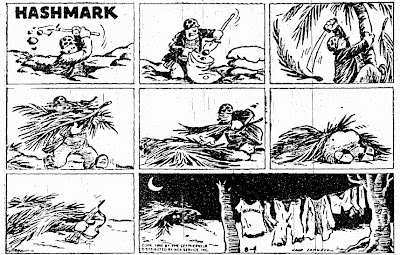 His personal style had been visible earlier, because when Lasswell was in the army, he created a Sad Sack like strip for Leatherneck magazine (which he continued after he took over Barney Google after the war). 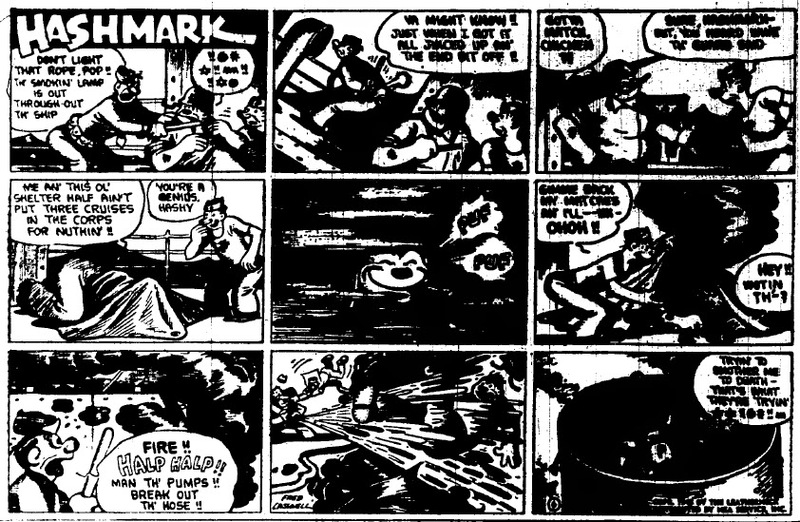 I have a short run of this strip, which I will show sometime. What I did not know is that Sgt. 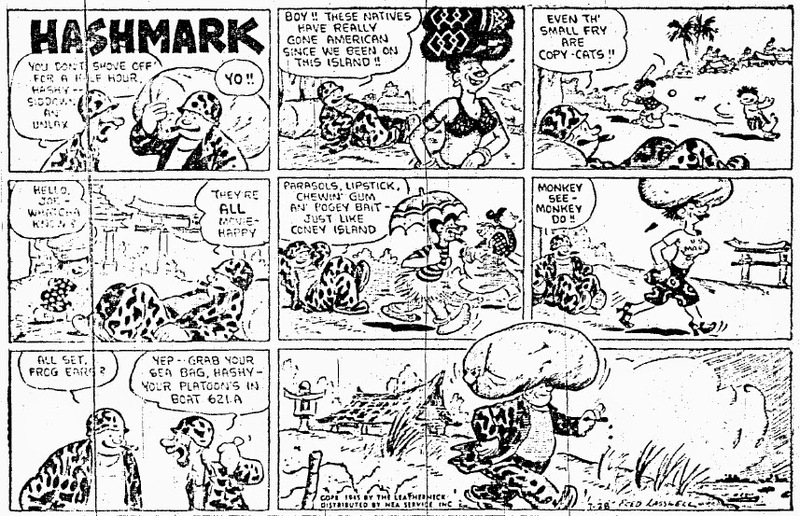 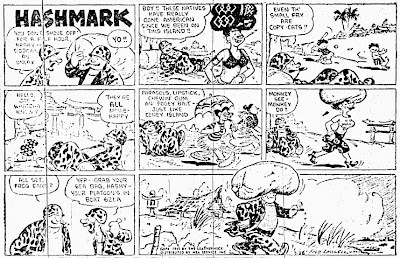 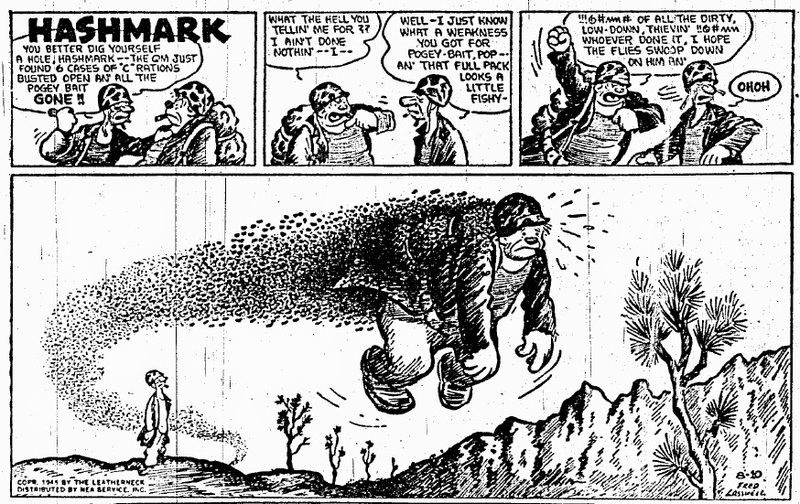 Hashmark also got a short run in newspapers. 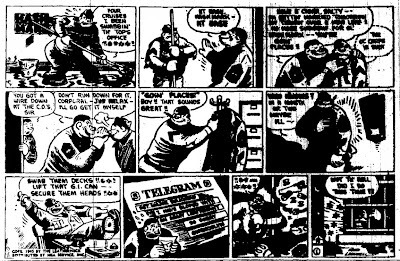 Since this daily strip was the same three tier format (only smaller) as the one in Leatherneck, I guess these were reprints. 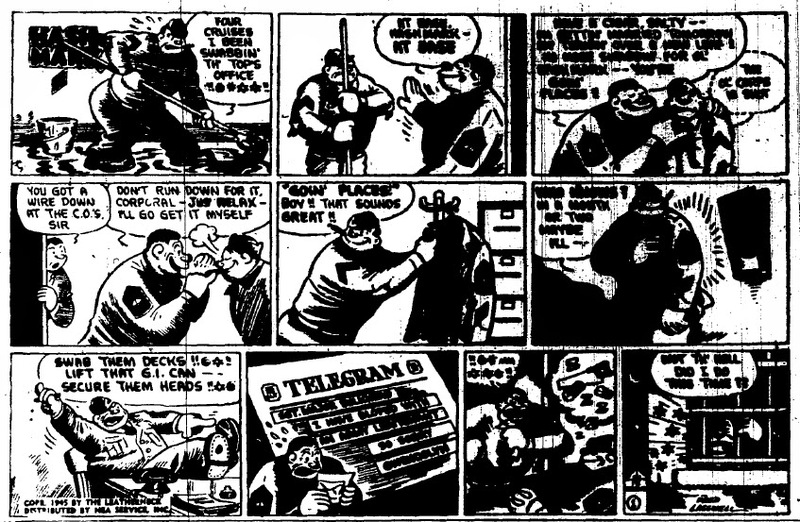 And since Leathernecm was a monthly, it can't have run too long. 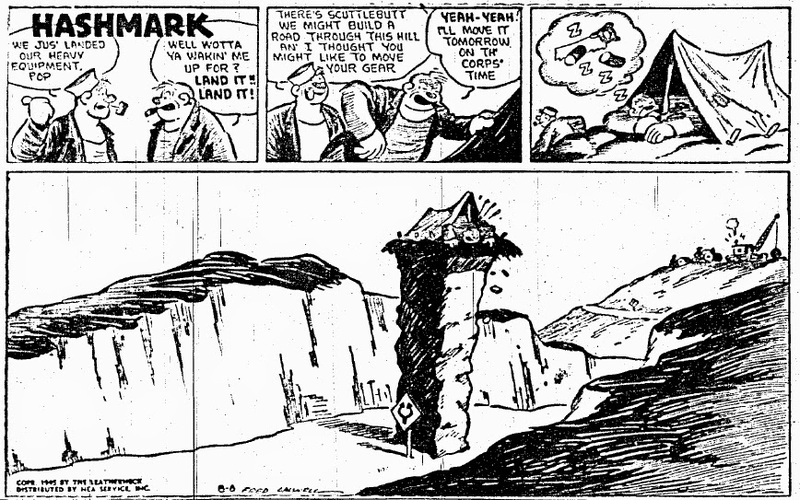 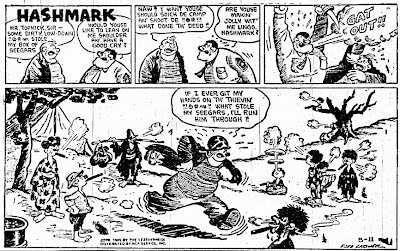 But it is fun to see the developement of the style that later became so familiar through Snuffy Smith.